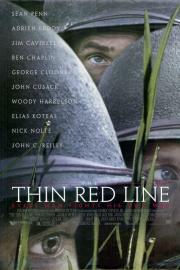 "The Thin Red Line" tells the story of a group of men, an Army Rifle company called C-for-Charlie, who took part in the fierce World War II battle of Guadalcanal, but the way in which this story is told transcends the boundaries of the war film genre. some good scenery but, thats about it. It fails to tell a story. The sheer amount of parallel character arcs makes it difficult for any one of them to see its full potential, even as the film prolongs its story almost excessively beyond the climactic fight. Instead, the film expresses the themes behind its characters best when Malick submerges the horrors of war into the gorgeous, ethereal setting of nature. T.M. is one of a kind artist. TTRL is a stunning film with Malick's God-like view of nature and this time, meshed within the adversity of war. The agony from struggles often absent in the propaganda is well portrayed and again, Malick's use of voice-overs added to my emotional experience. It delves into the philosophy of war and humanity using a scope untouched by this genre.